Lots of guests get confused with the details regarding Extra Magic Hour and Magic Morning. In short, Extra Magic Hour is for Disneyland Resort Hotel guests and allows entrance into whichever park is hosting the early admission that day. Those guests will be allowed to enter the park one hour prior to official park opening. Magic Morning is for guests who buy a 3+ day park ticket (in advance) or a Southern California City Pass. Those guests will be allowed to enter Disneyland (only) one hour prior to official park opening. Those guests will only be allowed to enter Disneyland one morning during their visit. Let’s discuss Extra Magic Hour and Magic Morning in more detail. Follow me! Extra Magic Hour (EMH) is open to all Disneyland Resort Hotel guests with a valid room key. California Adventure typically hosts EMH on Monday, Wednesday, Friday and Sunday. Disneyland typically hosts EMH on Tuesday, Thursday and Saturday. Hotel guests may use EMH each morning during their stay, as long as their hotel room key is active. 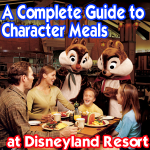 Disneyland Resort Hotels include The Disneyland Hotel, The Grand Californian Hotel and Paradise Pier Hotel. Magic Morning (MM) is open to guests with a 3+ day park ticket or guests with a Southern California City Pass. 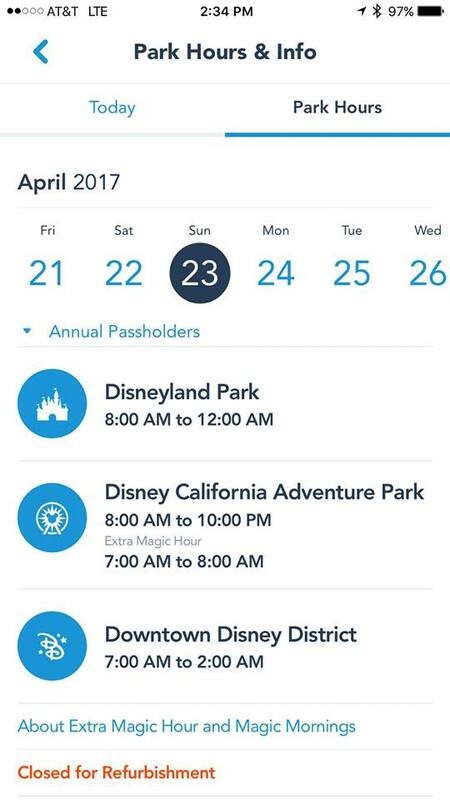 Disneyland typically hosts MM on Tuesday, Thursday and Saturday. California Adventure does not host MM. Guests must choose one day to use their MM during the duration of their stay. 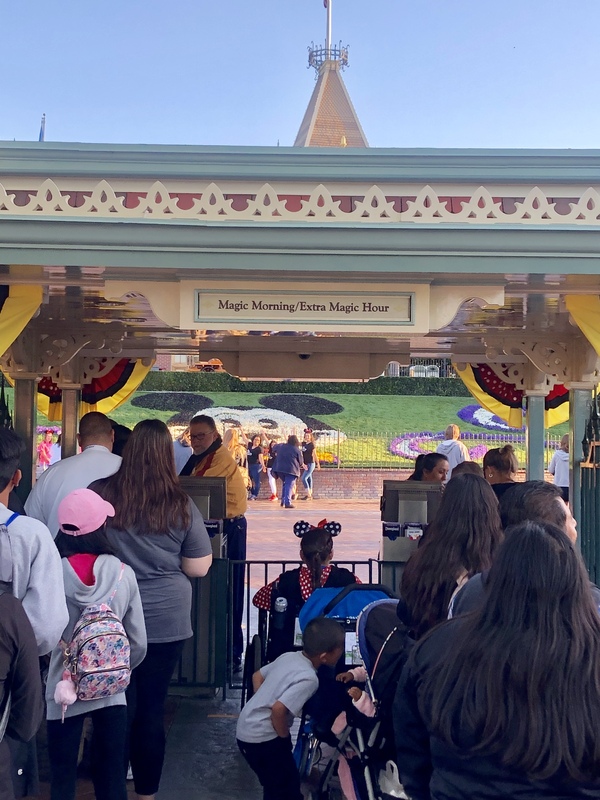 Both Extra Magic Hour and Magic Morning allow qualifying guests to enter the park one hour prior to official park opening. +The Military Salute 3 day ticket does not qualify for Magic Morning. 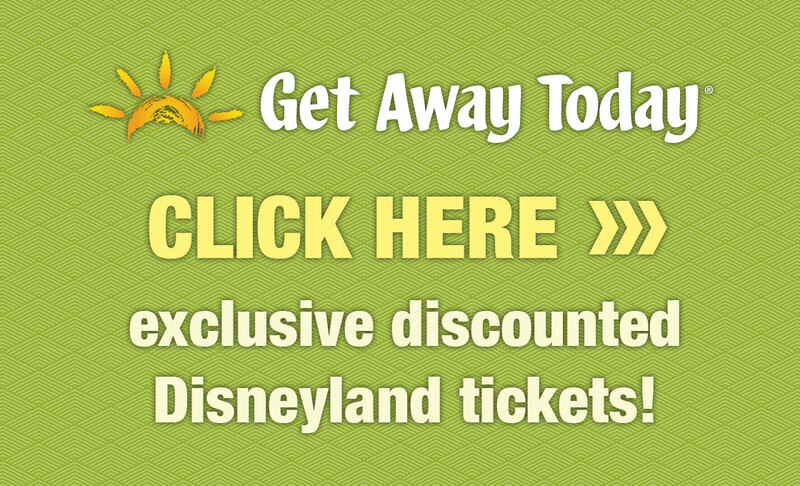 +Guests who buy a 3+ day park ticket from a 3rd party source (like Get Away Today) qualify for Magic Morning. 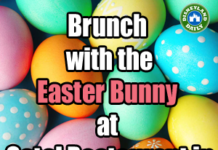 +The 3+ day park ticket that qualifies for Magic Morning may be a one-park-per-day ticket or a hopper ticket. +The 3+ day park ticket that qualifies for Magic Morning must be purchased in advance. +Occasionally, the park will change days for MM and EMH. For example, on 4.28.2017 – a Friday – Disneyland hosted Magic Morning and Extra Magic Hour. The days before and after fall within the usual schedule. But, this day is different. Because of that, you should always check the schedule to confirm each day you visit. 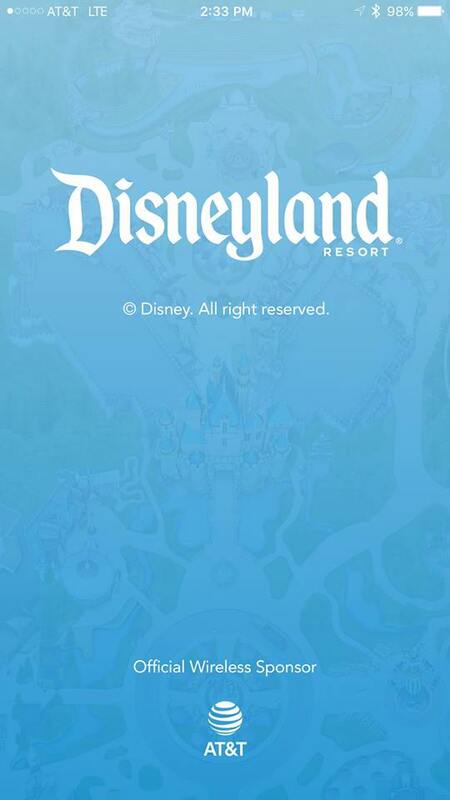 Take a look at the images, below, to see how to use the free Disneyland app to confirm the schedule for your dates. Pull up the app and find this image first. When it lands on you, pull up your profile and click on “Park Hours”. 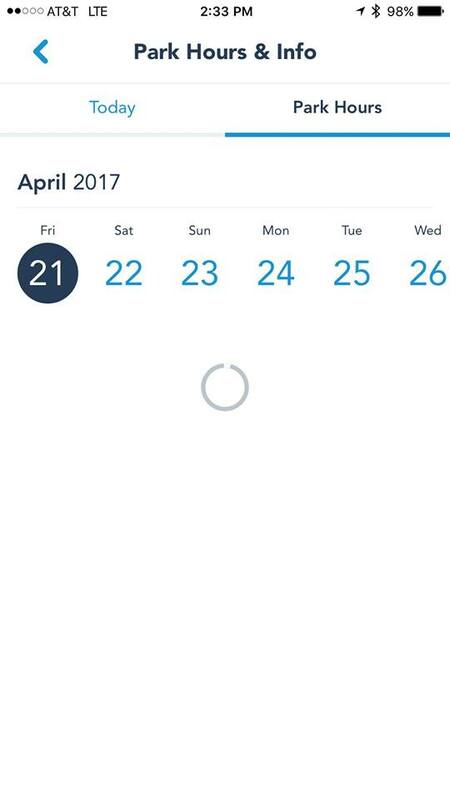 Today’s date will arrive first. Click on the date you wish to learn more about. 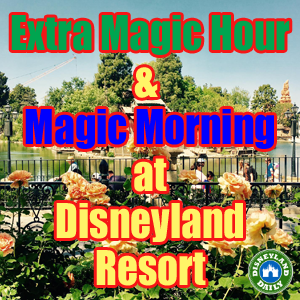 For that day, you’ll find the park hours and then also which park is hosting Extra Magic Hour and/or Magic Morning. As mentioned above, occasionally, you’ll find an exception. Most Fridays are slated for EMH at California Adventure. 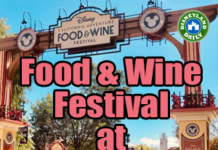 This Friday includes EMH and MM at Disneyland. 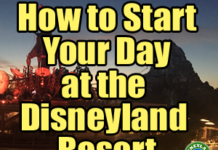 Before arriving at the Disneyland Resort, know how to most effectively use your morning at each park. Visit each of the links, below, to find out lots of tips. If you have EMH or MM, arrive 30 minutes prior to your entry time. Meaning, if official park opening is at 9:00am, EMH and MM will be at 8:00am. Arrive at 7:30am to get a good place in line. If you do not have EMH or MM, arrive an hour prior to official park opening. Every day of the week. Most days, cast members will allow all park guests (even without EMH or MM) into the park 30 minutes prior to official park opening. Don’t miss this opportunity to get into the park and set up at the land you wish to start in. The parks vary regarding which attractions and lands are open during EMH. They also vary on which attractions distibute FASTPASSES. As always, let me know what questions you have. If you have Magic Morning, remember, you can only use it at Disneyland. I recommend using your one Magic Morning on the last day eligible during your visit. By the last day, you’ll be more familiar with the parks and you’ll have a better understanding of where things are. You’ll also have in mind what you want to enjoy or revisit based on how your previous days played out. Cast members will scan your ticket for proof of Magic Morning eligibility. 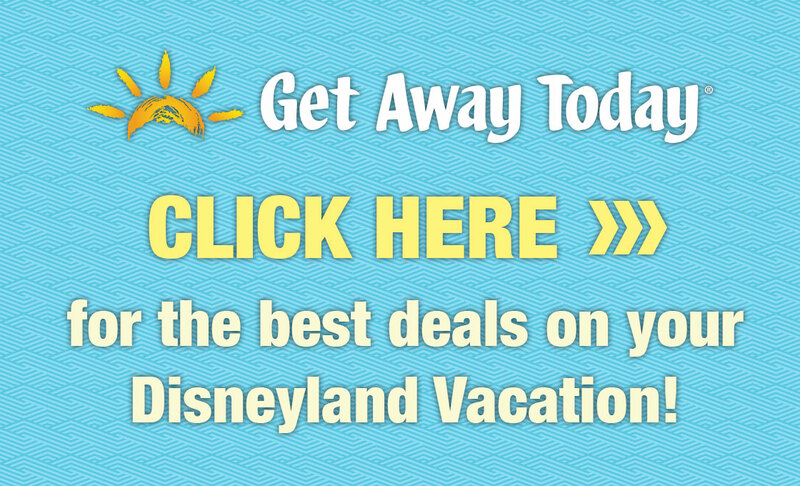 They’ll also look for a valid Disneyland Resort room key for Extra Magic Hour. Hi Casey! For Disneyland , is there a specific gate for people who has MM? How do I know which gate to wait in line for MM? Thank you. I still hanev’t figured it out yet: If I stay for example one night at the Disneyland resort, can I use the Magic Hour on the day of arrival, or on the morning after? If you stay at a Disneyland Resort Hotel, you will be entitled to Extra Magic Hour. You may use it for your arrival day and the day after. Hi Casey. We have an upcoming stay at Grand Californian for a couple days. Could we attend EMH at DCA on our arrival day (a Wednesday) if we arrive early enough since we are likely too early to get a room key? Or would the front desk give us something to enter the park early before getting assigned a room? Hi, Ben. I haven’t done it personally, but readers have told me they were given access to EMH when they arrived early day 1. The front desk will give you a room key that allows you in the park for EMH, but that is not assigned to a room yet. Have fun! I am heading on a last minute Disneyland trip in Oct 18 and am wondering if it is best to avoid the parks that have MM or EMH on those days? Also, on Sat 6th Oct there is a Halloween Party (that I have missed getting tickets for! :(). This is our arrival day. Should we use a days ticket to go into DL for 4-5hrs before the party starts and they make us leave or should we go to DCA which is opened for a couple more hours? 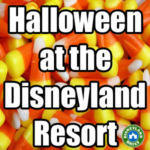 If we went to DL on that day and leave at 8pm, would we see any of the Halloween party stuff? PS I’ve been following you since the start and this is my first visit to DL so super excited! You’ll actually be escorted out at party time, which is 7:00pm on Saturdays. You won’t likely see any of the party stuff before you go. Hi Casey, What strategy would you use for special events. We will be going to the Halloween party Tuesday Oct 9. Won’t be able to get into the park until 3 pm. Then party begins at 6 pm. Not sure where we should be going first to maximize the park during this event. We then only have 2 day Park hopper which we were going to use Thursday and Friday. Was going to have pool day the Wed since we will be late at the park on Tuesday. Will be my husband and I and our 6 year old son whom has anxiety and at times sensory sensitive. Any tips or recommendations on this. I’ll be updating my Halloween post prior to your party with a strategy for rides. Take a look at it here before you travel. I’ll have you ready! hello! Headed to my happy place very soon & I use your site/FB page like a bible 🙂 Just to confirm – the only rides open during EMH in DL are the 4 listed above? Nothing else? So head straight for one of them? Thank you! 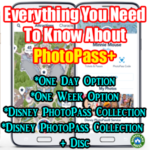 The rides listed in this post are the only ones that distribute FASTPASSES. Many more are open. Hope that helps! Thanks so much for all of your research, it has been so helpful. We are looking at going in the next couple of weeks and I just wanted to clarify: our ALL the rides open during EHM? Or just the ones that they have listed on the Disneyland website? 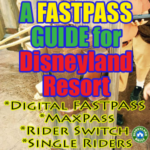 I am tweaking your “How to start” plans and thinking of hitting Toy Story during EHM and grabbing a MaxPass for RSR. Not sure if that is a good way to start the day, but trying to accommodate a 4 and 9 year old with varying tastes is tricky ;). Thank you. I was wondering what info you had on Fantasmic and World of Color? We are going to be at the parks next week Monday – Friday. I was wondering if there were days that were better or worse to see them also wondering if getting a fastpass earlier gets you better reserved sections of if it really matters? We are going April 15 – 21 and will be in the parks 16-20 (Monday – Friday, no weekends). We are staying at the Disneyland Hotel and my daughter’s birthday is the first day we will be in the parks, so I want to go to Disneyland that day and not DCA. I realize that this is the exact opposite of the EMH that is included in our resort stay. Am I making a mistake by planning it this way, or should I change it up? I do want to be in DL on day 1 but not so concerned about the other days, prefer DL on day 5 (last day) because we planned to stay that night just for fireworks (assuming that fireworks are back by then anyway). We do not have park hoppers since we have 5 full days in the parks I didn’t think it was worth it. Fireworks should be playing when you visit. I recommend changing your schedule to include extra magic hour as much as possible. . It will give you a great advantage to have that hour each morning. Hoppers aren’t an absolute must. You’ll be in great shape! Hi! I so appreciate all of your posts to help me get a grasp on how DLR works. Because we wanted to spend our last day at DL, we were planning on Thurs at DCA and Fri at DL… but MM is Thurs at DL. 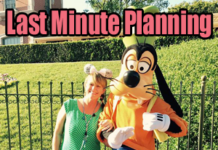 Would it be a waste to start the morning there for MM and then head over to DCA after the first hour or so? No. Don’t miss the chance to use your magic morning. Get a lot done there and then head to DCA. Get as much done as possible until you’re ready for DCA. 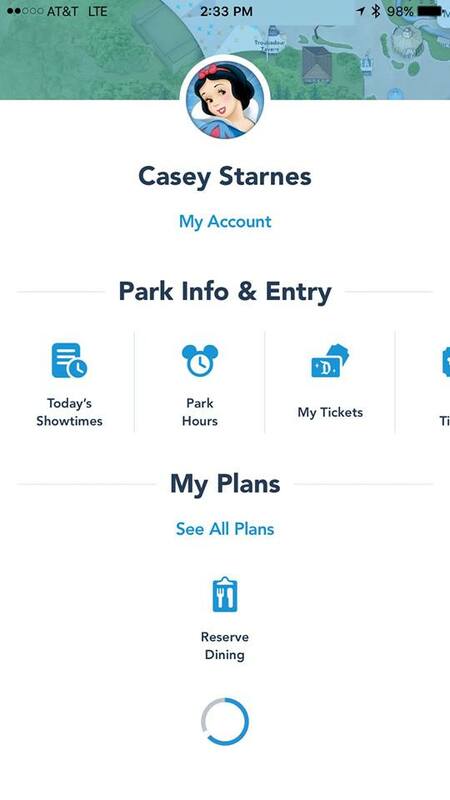 Hi Casey-this is our first time staying on property and having MM/EMH privileges in general, is there a MM rope drop inside the park (it seemed like from the article you implied yes) or is it just the entry gates open at the MM stated start time and you’ll still have to make your way through the turnstiles and down Main? Entry gates open and you’re on your way! No rope drop for extra magic hour or magic morning. Sorry about the confusion! We stayed at Paradaise Pier for 3 days. Each day we tried to cross the street to enter through GCA. The security guards at the light wouldn’t let us pass, even when we showed them our room key. I was livid. We’ve always used the GCA enterance. They would however let us use it when we left the park. Any word on the Grand Californian entrance? Is it only for the Grand Californian guests? I can never get a straight answer regarding the entrance to DCA from the hotel. The front door is only for GCH guests. For extra magic hour how do they check that your room key is valid? Do you need a key for each person? Hi Casey! Love your website! We’re coming to Anaheim for a convention. Do the Disneyland convention rate tickets include Magic Morning? And, it shows that 3 days tickets are not available. Magic Morning requires at least a 3 day ticket. So, I’m guessing no, but you should inquire with who you’re purchasing with just in case. I rarely work with these tickets. Let me know what you find out! Thanks Casey! I called the Disney ticket line. Multi-day single park and park hopper tickets are available. However, Magic Morning is not included. Hello, I tried to use the promo code at Park Savers and it said invalid code. Is it expired? Hi Casey! I looked up all the park hours for our visit. It looks like CA opens an hour earlier on Tuesdays and Thursdays. 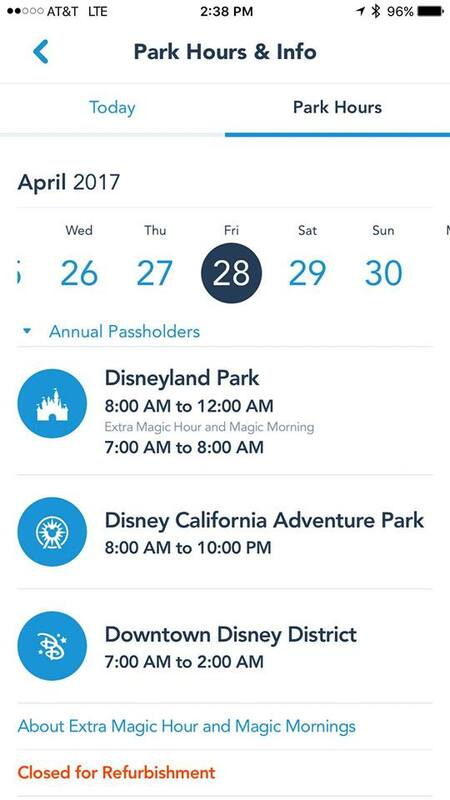 (The same day DL hosts MM & EMH) We’re feeling like the best strategy is to visit CA on those days (Tuesday or Thursday) because of this. Would that be your strategy too? I like the idea of doing the opposite of what most people will be doing those days. Haha…. as always, thank you for your insight! I should clarify…. their “regular” hours are an hour earlier than they are on M, W & F.
I think that sounds like a great plan. Go for it! Is the monorail open prior to Extra Magic Hour, and if so, do you recommend going that way or Main Street? It’s not. And it’s often down during EMH. Use the main entrance for sure.